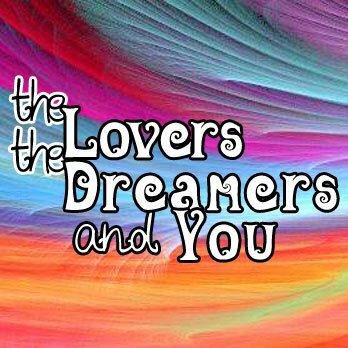 I’m super excited to announce the premiere of a new website out here in cyberspace… The Lovers, The Dreamers, and You! It was created and hosted by my dear friend Ceris Thomas and is produced by the uber-talented Luke Bainbridge. The site features blogs and podcasts not only about all things Muppet-y, but also about the things that people love and dream of! I lead a pretty creative life. I regularly make things that have music, drama or dance involved in them. I teach the arts. I am surrounded by creative folks all the time. And I’m privileged to work with them. But I felt Ike something was somehow missing. I felt I needed a forum for my own creative impulses to take shape and a place where I could explore the creative impulses of my own work and my colleagues. I’ve been creating and staging work that others have written and I felt it was time to write something of my own. I’ve been thinking about creativity, inspiration and leadership and wondering where that all comes from and how you can cultivate creativity and inspiration. This year I was reminded of one of my greatest sources of inspiration and I began to explore his philosophy of creativity and leadership. Mr. Jim Henson. This is the source of my inspiration for this podcast and website. I want to explore creativity and the different ways that people are inspired to fulfill their dreams. I hope to to uncover some interesting stories and philosophies during the life of this blog, website and podcast. I hope that you will join me on this exploration and participate in the discussion. The first podcast was just posted, and happens to co-host… me! If you’ve ever wanted to hear my voice over the internet, now is your chance, ha ha! I was so honoured that Ceris asked me to be a part of the very first one, and that I’ve been invited to come back as a guest host! Anyway! Check out the podcast, and keep checking back! You can follow on Twitter at @LoversDreamersU, friend us on Facebook, and subscribe on iTunes too!